Although reviews for Inglourious Basterds have been decidedly mixed so far, this is still the most anticipated film of the year for me. One look at this poster, which I found via Ain't It Cool News and the reasons become apparent. Quentin Tarantino really knows how to sell a film. Doesn't he? He also knows how to tell a fun story. At least so far. I admit my expectations are lower considering the negative to mediocre buzz the film generated at Cannes, but Tarantino hasn't disappointed me once yet. So I'm giving him the benefit of the doubt. 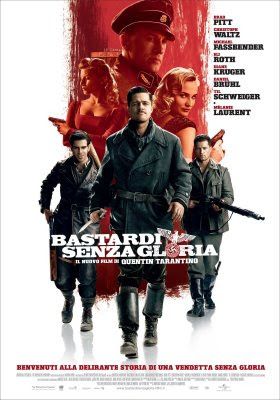 Inglourious Basterds is released nationally on August 21, 2009. King LeBron James the Loser?